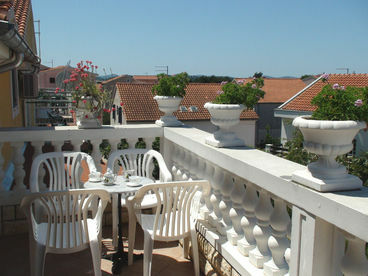 Search Vodice private vacation home rentals including Vodice vacation rental condos in Vodice, Croatia. 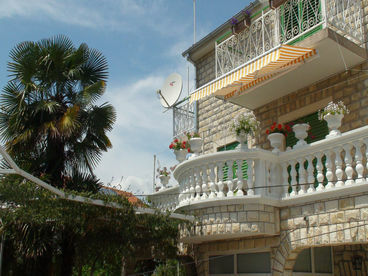 100m² large air-conditioned 2 bedroom holiday apartment. 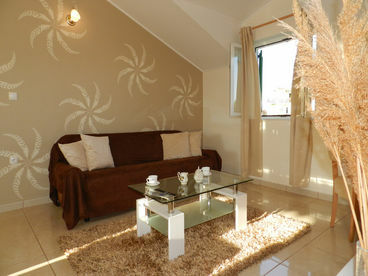 This new self catering apartment is situated in a quiet location yet is also close to the local amenities. A few minutes walk will bring you to the beach, restaurants and shops. 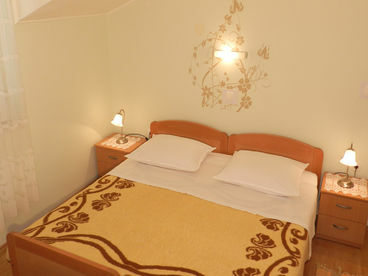 Besides the air-conditioning in all the rooms the apartment includes a broadband internet connection, satellite TV. 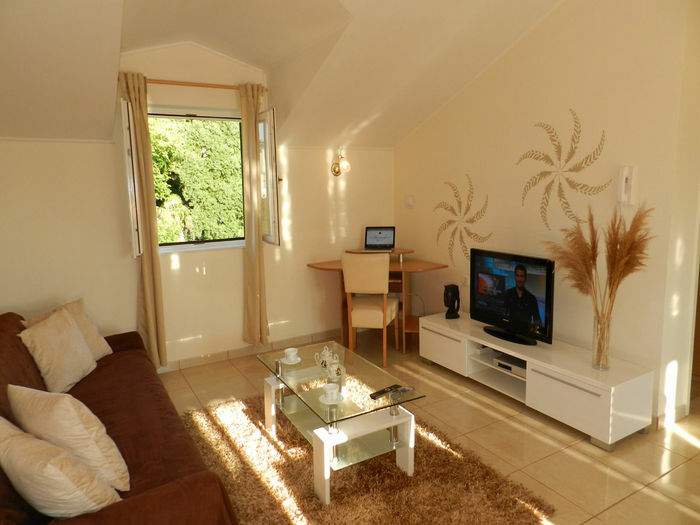 There are 2 bedrooms with double bed - 1 living / dining room with well equipped kitchen - 1 bathroom – balcony 11m² - barbecue place on the terrace in the basement - parking lot.